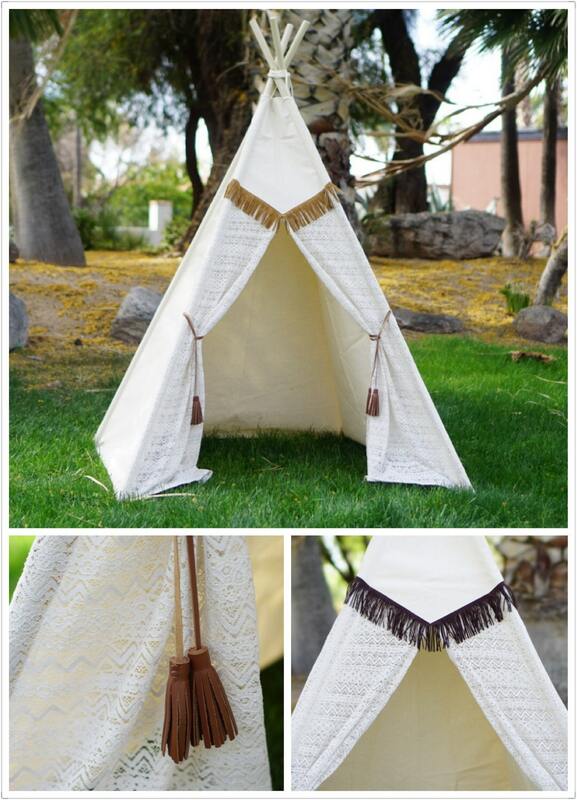 This is the Pocahontas teepee with canvas base, cotton lace, hand stitched leather tassels, good for a pow wow party. 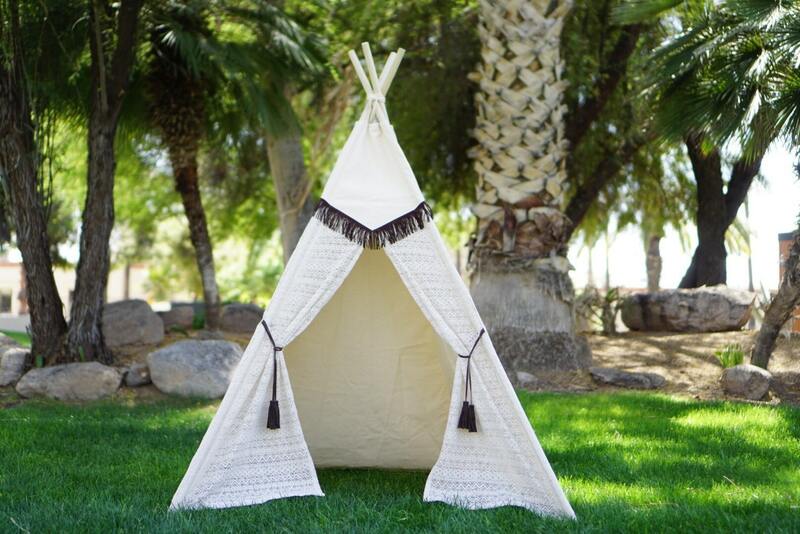 She is the tough girl from TucsonTeepee Lace teepee selection. I select fabric very carefully and use only “matching” material on my tent. 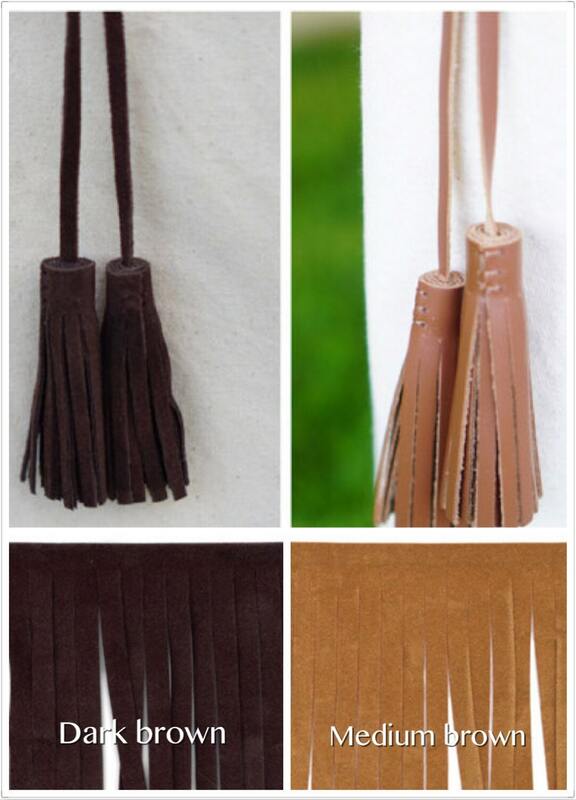 For example, polyester lace is thin and delicate, more on the "shine" side. 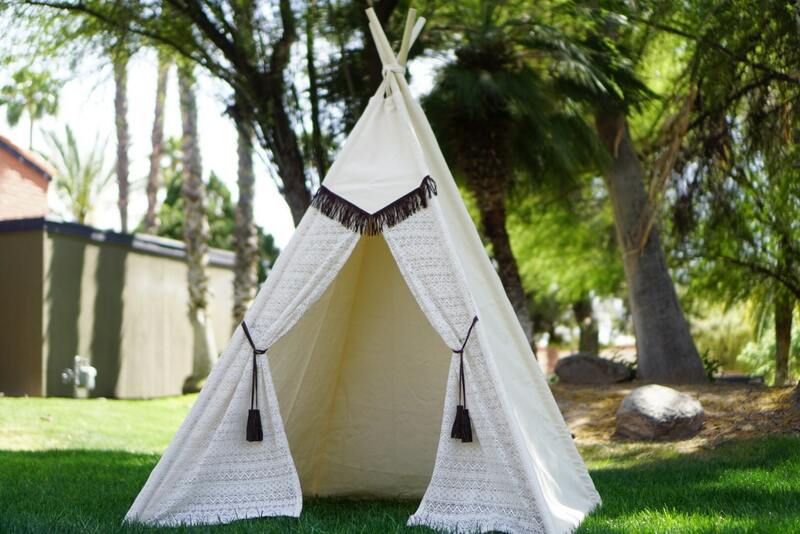 I only use it with 4oz cotton fabric like my Hazy lace teepee. 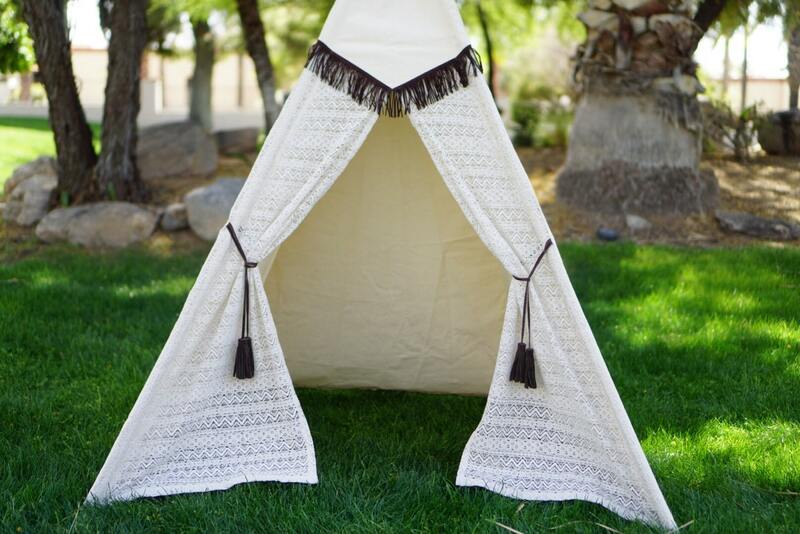 The lace fabric on Pocahontas teepee is cotton lace and on the "matte" side (kind of like a low profile personality lace. :)...). It matches the canvas base fabric better. You can tell the difference better when you see the teepee in person.